Update your thinking and avoid complacency with the 12 week year Are you ready to change your life? 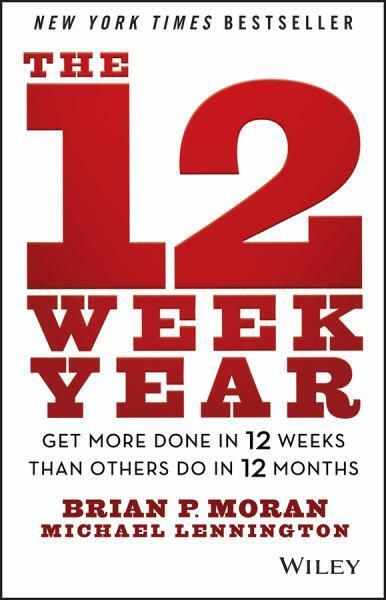 This hands-on template for implementing advice from the game-changing book The 12 Week Year is a study guide that makes it easy for anyone to apply the 12 week year to their own lives. Instead of getting bogged down in annualized thinking that produces pitfalls and saps productivity, follow along with this guide to redefine your “year” to be just 12 weeks long. By doing so, you’ll avoid complacency, begin to focus on what matters most, create better clarity, and develop a sense of urgency so that “now” is always the right time to act. Applicable to business growth, career goals, and life in general, the 12 week plan will help you improve in any—or every—area. By closing the “knowing-doing gap,” you’ll discover how to execute on what you already know and greatly expand the boundaries of your capabilities. Learn to: Create your personal and business visions with step-by-step tips Develop your own 12 week plan by applying what you know to what you do Put over 10 years of field-tested content, exercises, and templates to work for you Build a 12 week commitment and apply the system to your own life and business Take back your life, improve your thinking, and advance your business or career by implementing real-world, hands-on methods in The 12 Week Year Study Guide.